2. Beat eggs at high speed with an electric mixer for 2 minutes. Add sour cream, water, cream of coconut and vanilla; beating well after each addition. Add cake mix, beating at low speed just until blended. Beat at high speed 2 minutes. Pour batter into a greased and floured 9x13-inch baking pan. 3. Bake for 40-45 minutes or until a wooden pick inserted in center comes out clean. Cool cake in pan on wire rack. Cover with plastic wrap and put into freezer for 30 minutes. 4. 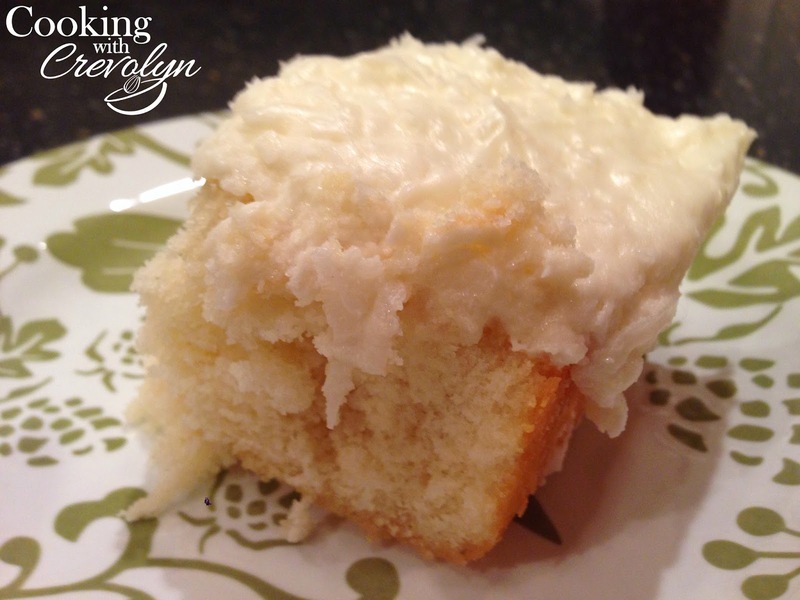 Spread Coconut Cream Cheese Frosting on top of chilled cake. Cover and store in refrigerator. 5. 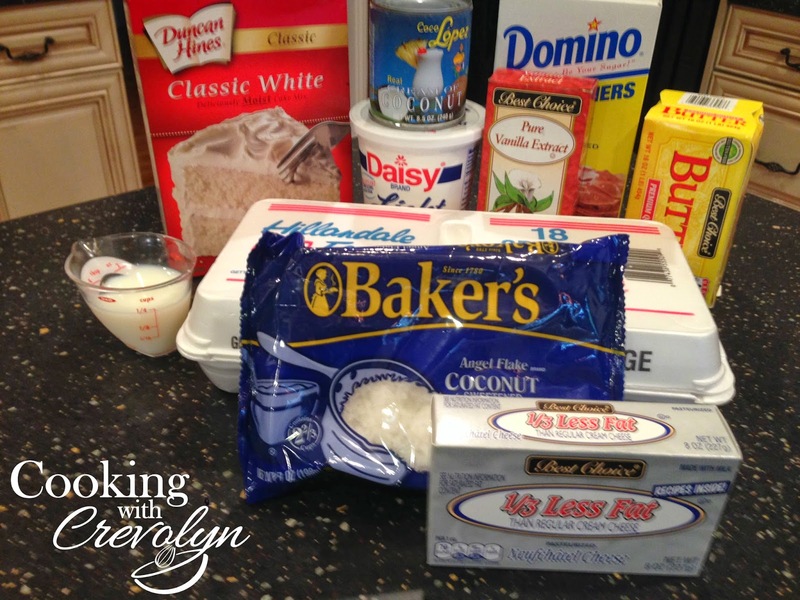 To make frosting: Beat cream cheese and butter on medium speed of an electric mixer until creamy. Add milk and vanilla, beating well. Gradually add powdered sugar, beating until smooth. Stir in coconut.